telecommunication pole and tree at around 2:20 p.m., Saturday. 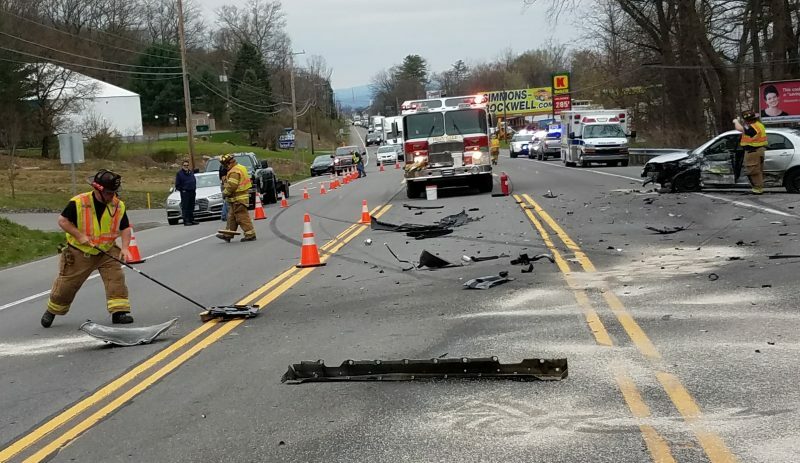 Traffic was reduced to one lane for about 30 minutes at the scene — 40 feet away from the corner of Grampian Boulevard and Penn Street. 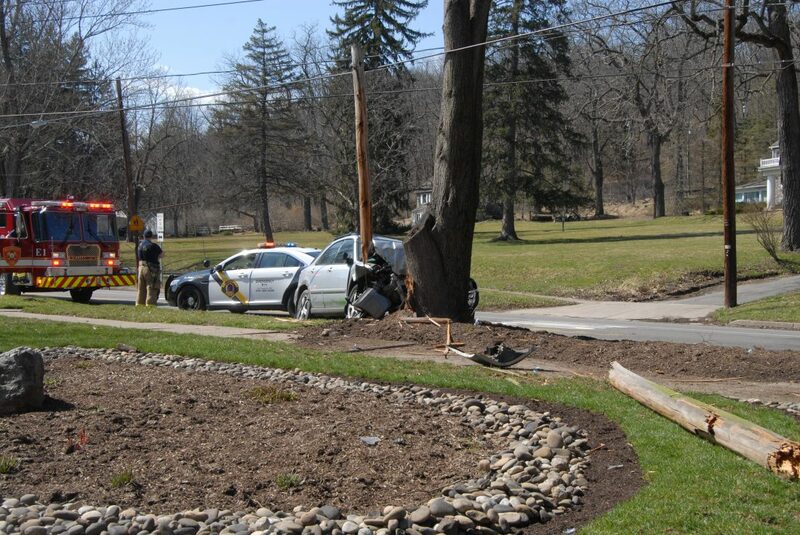 Officer Laura Kitko, with city police, responded to the crash and said there is an active into its cause. Neighbors doing yardwork nearby said they were scared by the loud noise and initially thought a tree fell.